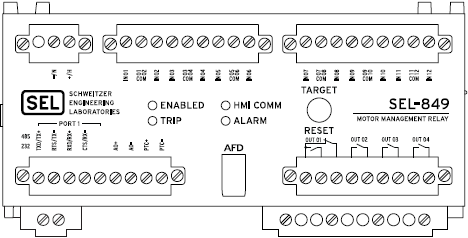 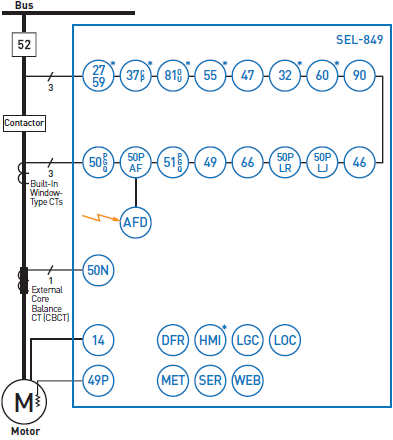 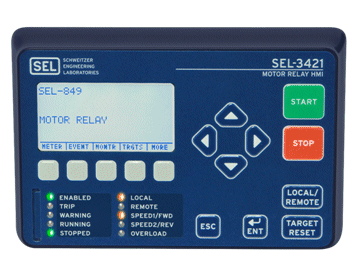 The SEL-849 installs easily inside a motor control center (MCC). 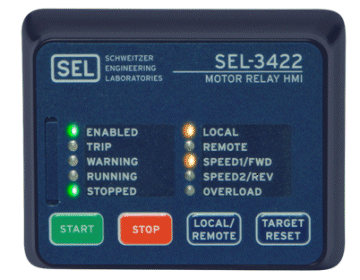 The optional SEL-3421 and SEL-3422 Motor Relay HMIs (human-machine interfaces) install on the front of the MCC. 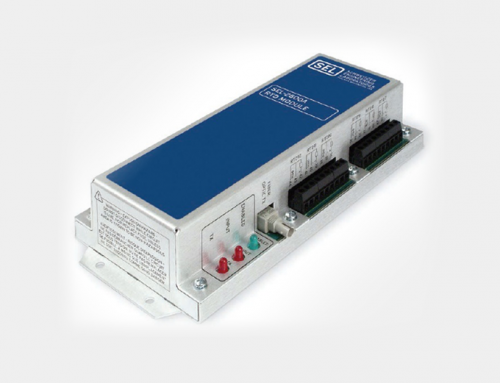 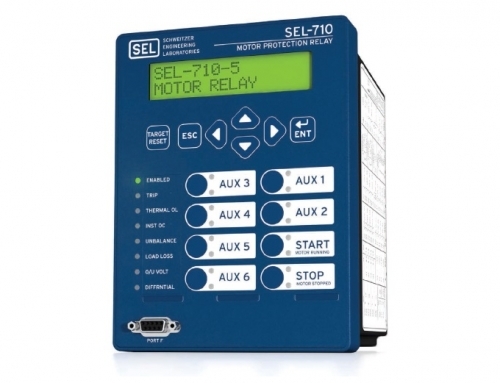 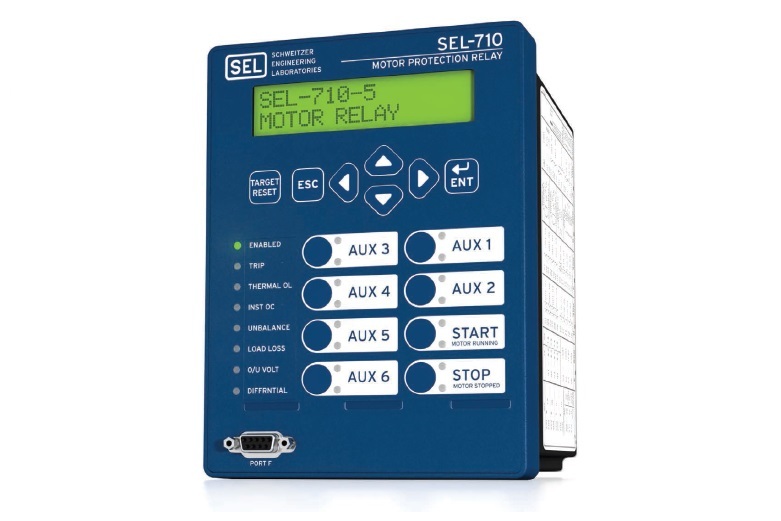 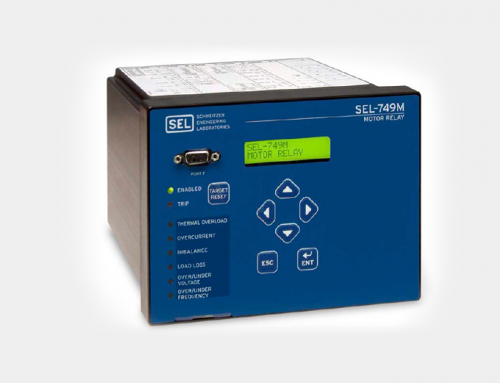 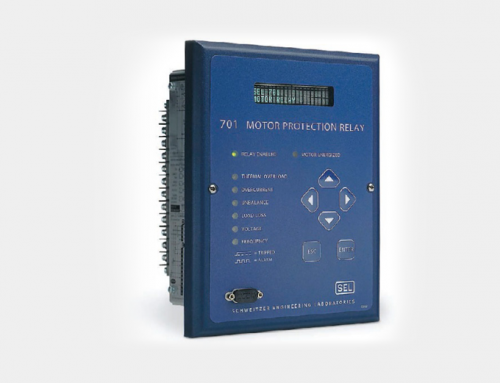 The SEL-849 Motor Management Relay supports pumping applications for water, chemicals, and petroleum; air-based applications, including fans, blowers, air handlers, and compressors; chiller applications, such as compressors and air-conditioning; and applications involving bulk materials, such as conveyors, crushers, screeners, feeders, augers, and bucket elevators. 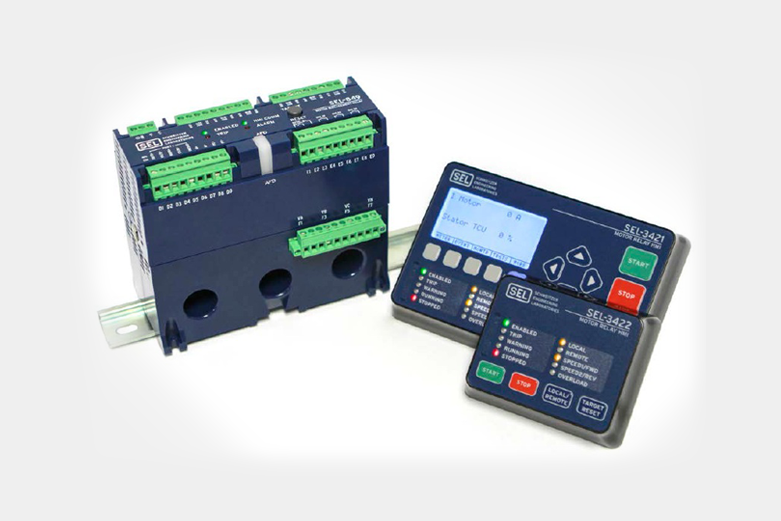 The compact form factor easily installs in small motor control center (MCC) drawers and buckets. 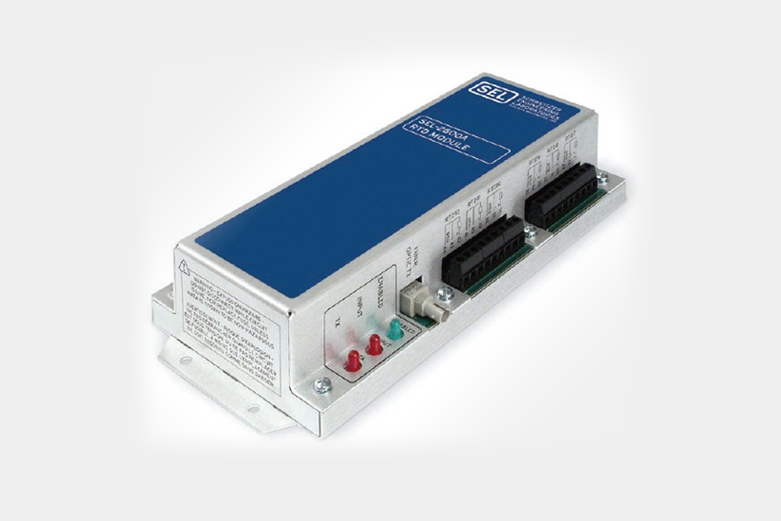 Built-in current transformers save room and reduce installation time. 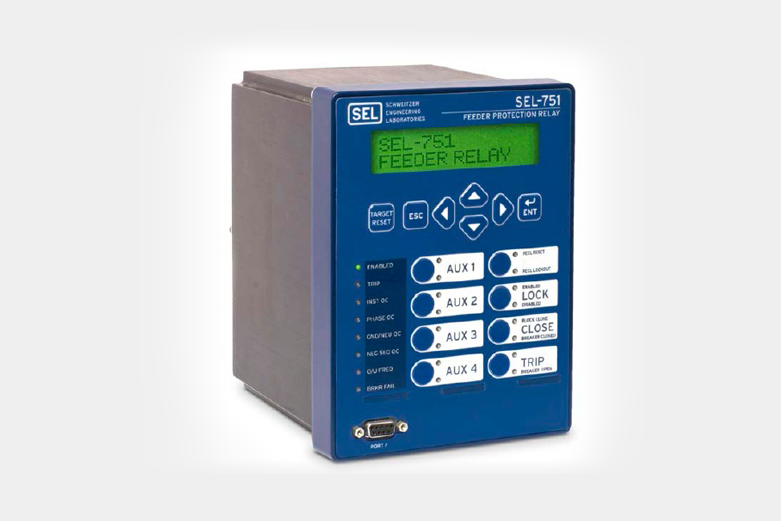 The web interface makes it easy for electricians and technicians to configure and monitor the SEL-849. 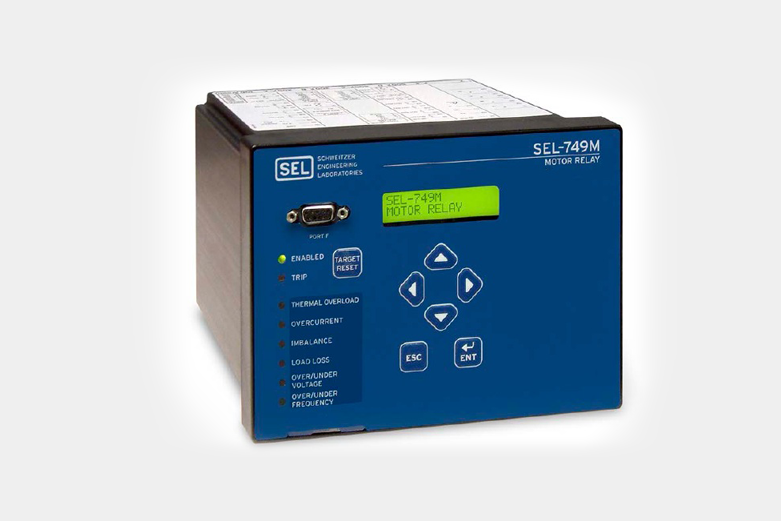 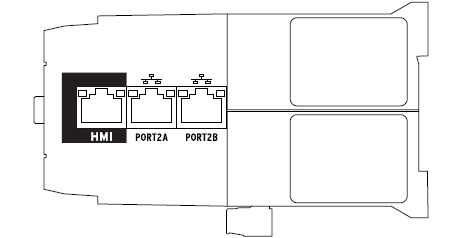 Several communications protocol options allow the SEL-849 to be used with old and new control systems. 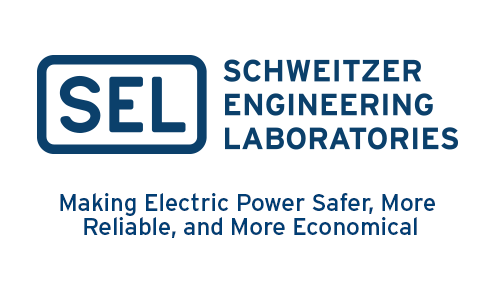 MCCs typically have large fault-current potential, resulting in increased arc-flash hazards. 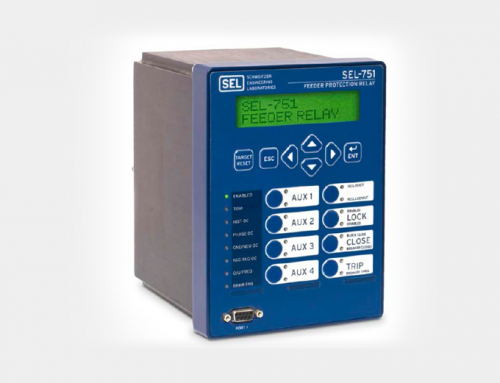 The SEL-849 Relay’s arc-flash detection capability significantly reduces total arc-flash energy.